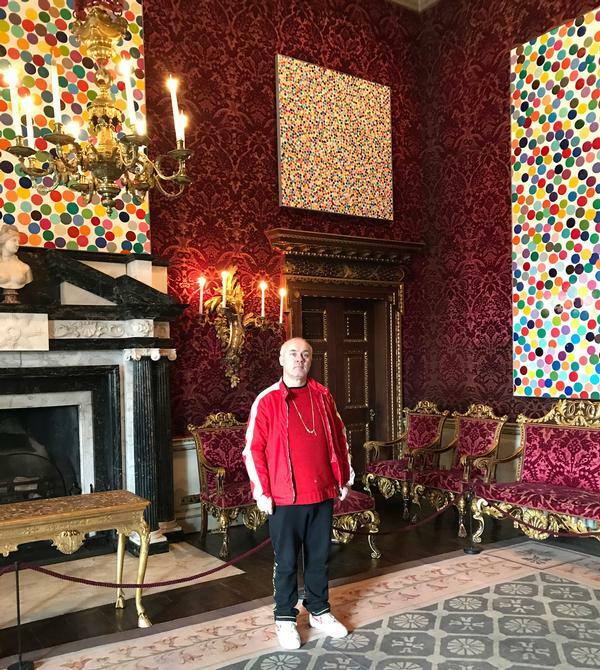 Famous for a tiger shark preserved in formaldehyde and a diamond-encrusted skull sculpture, Turner Prize-winning British artist Damien Hirst has partnered with a stately home in Norfolk, UK, to exhibit a series of spot paintings. 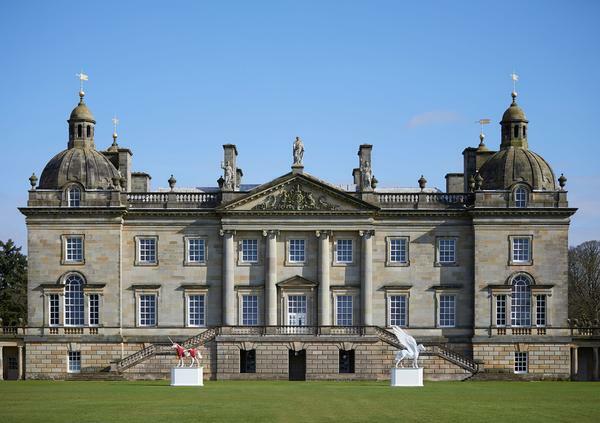 A rather unusual backdrop for the contemporary artworks, Houghton Hall was built in the early 1700s for Britain’s de facto first prime minister, Sir Robert Walpole. 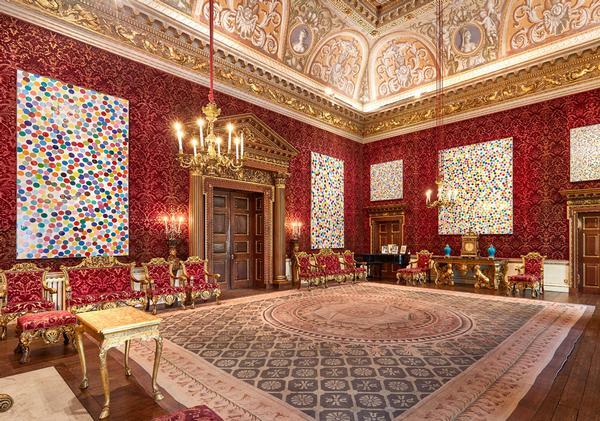 Now an attraction, visitors this summer will find the family portraits that adorned the walls of the State Rooms have been replaced by 46 new and previously unseen paintings from Hirst’s Colour Space series, while nine of his large-scale bronze sculptures scatter the gardens. 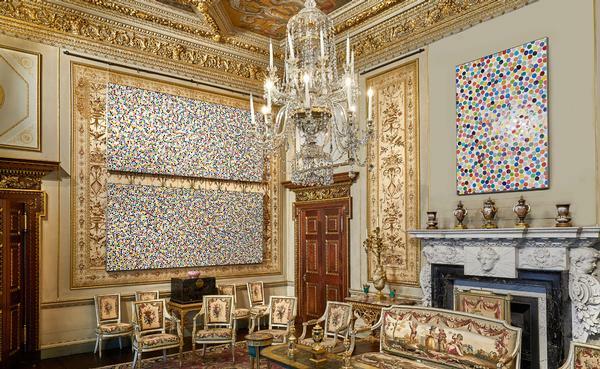 Colour Space is an evolution of the Britart pioneer’s iconic Spot Paintings, the first of which he painted in 1986. 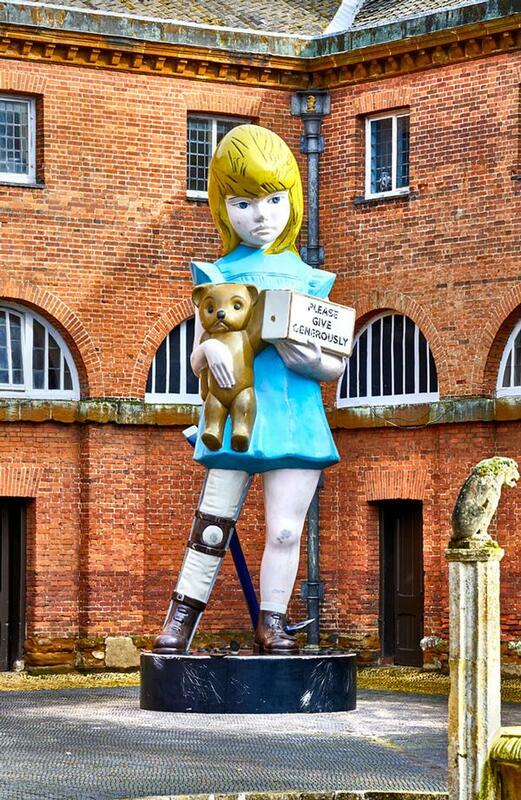 “The Spot Paintings … always look happy, although there’s an unease there too because the colours don’t repeat when you expect them to,” says Hirst. 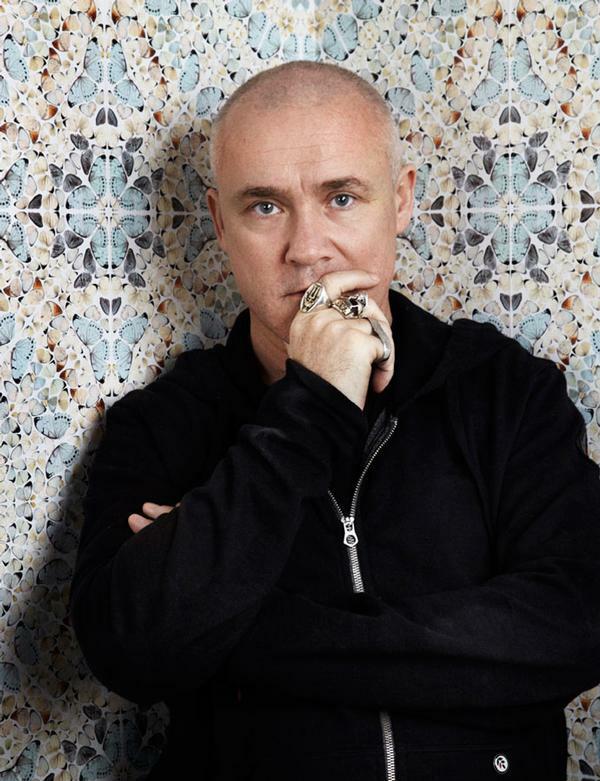 “I originally wanted the Spots to look like they were painted by a human trying to paint like a machine. Colour Space is going back to the human element, so instead you have the fallibility of the human hand in the drips and inconsistencies. There are still no two exact colours that repeat in each painting, which is really important to me. I think of them as cells under a microscope. 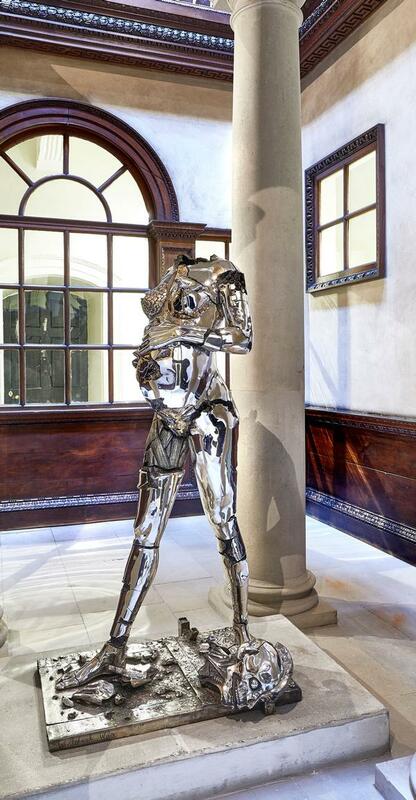 “It felt right to show them somewhere historic rather than in a conventional gallery space and Houghton’s perfect. 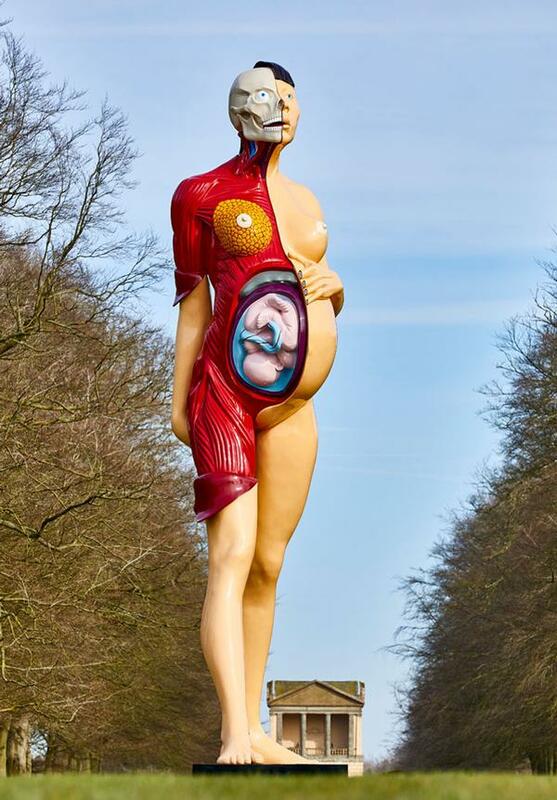 It feels totally right,” the artist says. Visitors to Houghton Hall can also enjoy the walled garden, restaurant and shop and experience the Soldier Museum, which contains the largest private collection of model soldiers in the world. The State Rooms themselves are richly decorated, filled with opulent furniture and sumptuous furnishings, and were designed to impress Walpole’s important guests. 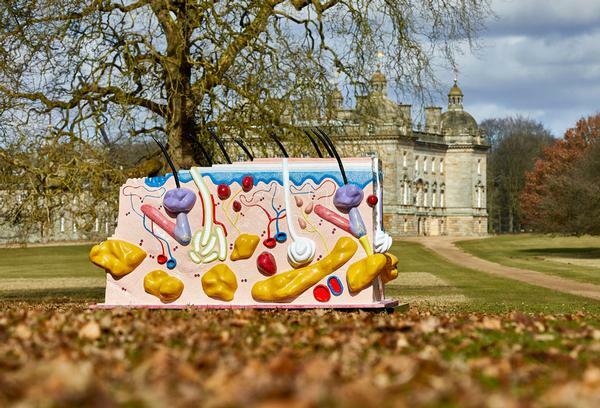 Damien Hirst at Houghton Hall: Colour Space Paintings and Outdoor Sculptures is open to the public until 15 July.